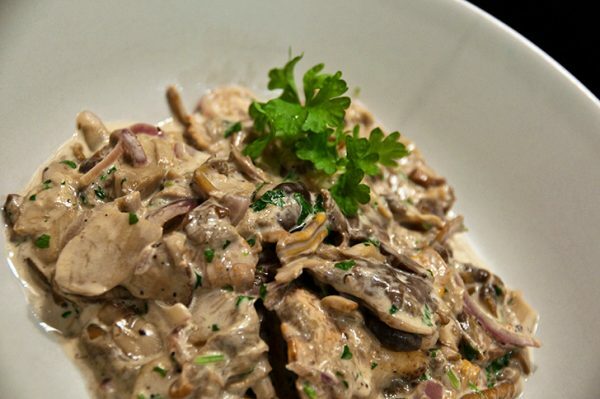 Flavorful wild mushrooms in a cream sauce; perfect on their own with crusty bread or over pasta for a hearty meal. 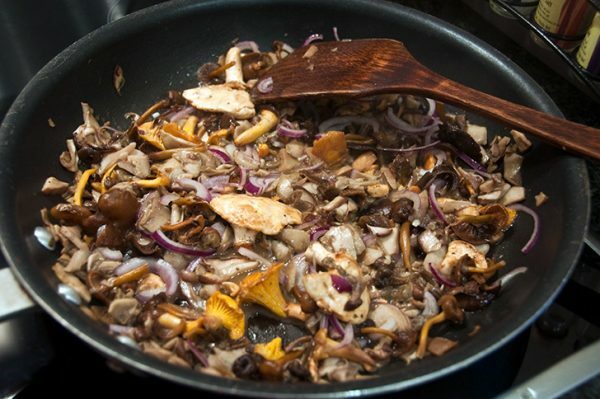 350g mixed wild mushroomsYou can use any mushrooms at all but chanterelles and cepes will give you heaps of flavour. Clean your mushrooms carefully with a mushroom brush or damp paper towel. The less wet you get the mushrooms the better so don’t soak them. Melt butter in a hot frying pan. When bubbling add your onion. 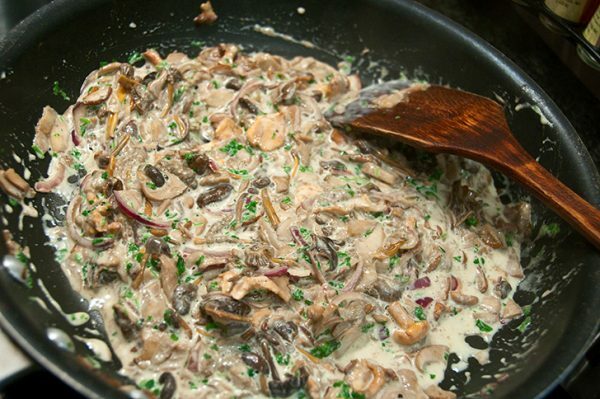 When the onion has softened, add your mushrooms and season liberally with salt and pepper. Cook 8-10 minutes. Add cream and mix it with all of the mushroom juices. Add parsley and cook for 2 minutes or until the cream is bubbly. Remove from the heat and add lemon juice to taste. 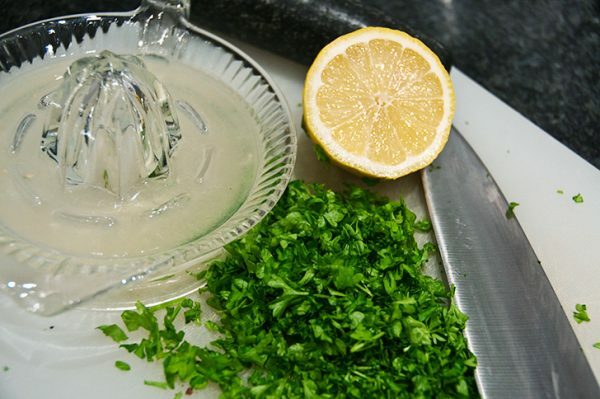 Garnish with a bit more fresh parsley and pepper. Serve with some crusty bread or over pasta and pair it with a crisp white wine. 350 g mixed wild mushrooms You can use any mushrooms at all but chanterelles and cepes will give you heaps of flavour. Clean your mushrooms carefully with a mushroom brush or damp paper towel. The less wet you get the mushrooms the better so don't soak them.